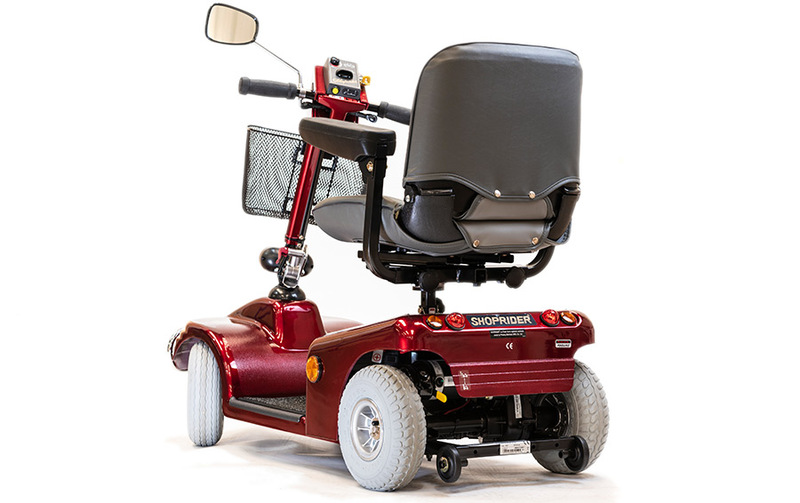 This is our most popular choice of mobility scooter. It provides a stable ride and is a reliable and comfortable scooter that delivers upon expectations. It can be used in confined spaces, both inside and out, for passengers of up to 21 stone. With a battery range of up to 20 miles this scooter can cover an impressive distance before needing a charge. If you want to be able to have the freedom to pop around the corner to the shops or park and do not need to go on the road then this is the right choice for you. The Sovereign mobility scooter is not configured for road usage but is a great scooter for travelling on pavements. It is easy to use with simple lever application for forward/ reverse movement, and an easily operated speed dial that takes it up to 4mph. 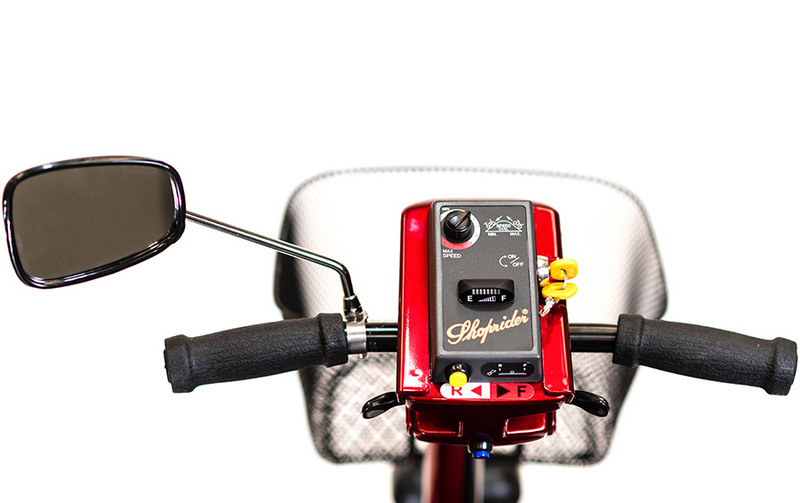 This scooter features a magnetic braking system so will automatically come to a stop when the lever is not applied. This is a well-made scooter, as you would except from a long established brand like Shoprider. It is clearly built with safety and usability being of optimum importance, whilst it delivers a comfortable journey. The charging point is easily accessible on the tiller (steering column) and it is easily charged via a standard three point plug. It has a storage basket at the front but differs from the Cadiz in that it doesn’t have any storage in the seat. It also has smaller wheels than the Cadiz, but it still very comfortable to ride on. 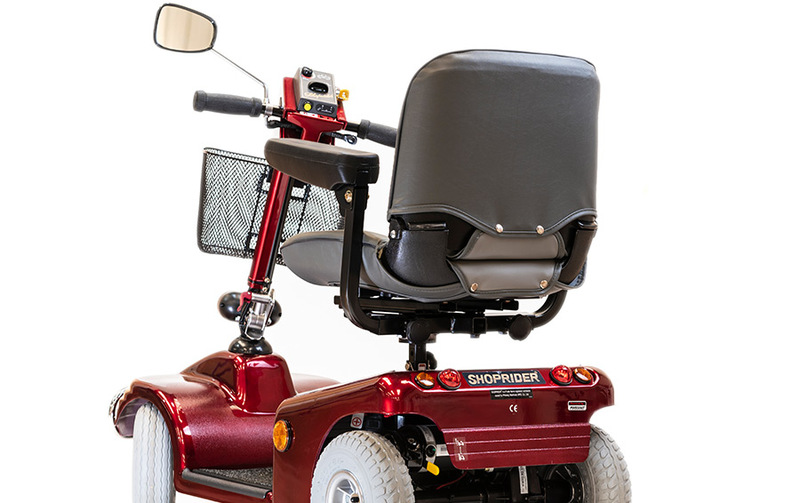 This is a comfortable mobility scooter with an adjustable seat and steering column as well as a swivel seat operation. The back does not adjust as it does with the Cadiz but the position of the armrests can be altered. 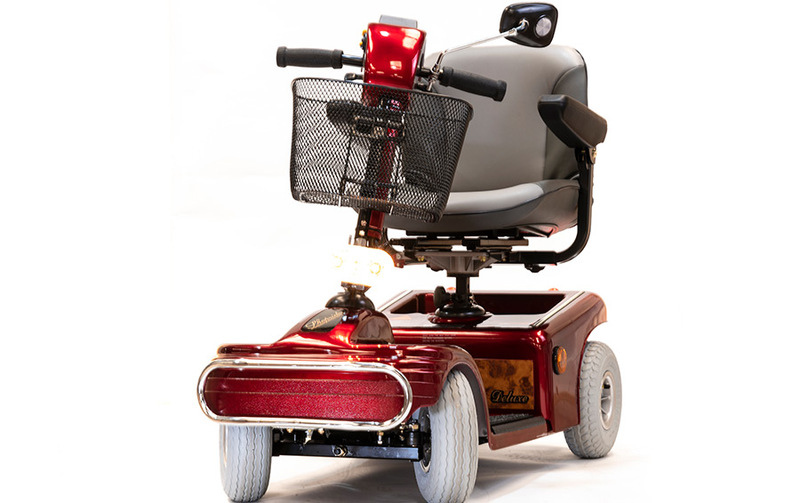 The footrest over the wheel adds to the comfort and the pneumatic wheels make the ride impressively smooth. You know when you sit on a Shoprider mobility scooter that is safe to operate and confirms to all the relevant safety regulations. This scooter features a front light and an automatic braking system that will hold it secure, even on a hill. It can be put into ‘freewheel’ to be manoeuvred about this would need to be disabled before it will drive away. 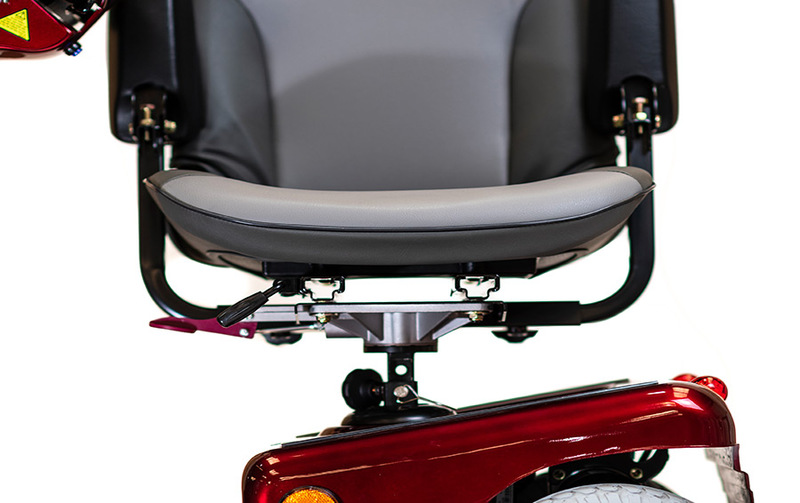 Anti-tip wheels ensure enhanced stability when going up curbs so you know that it cannot topple over. Enjoy the Shoprider Sovereign Mobility Scooter review?